July is in the books with Mike Trout of the Angels and Andrew McCutchen of the Pirates taking home player of the month honors. Was it enough though to stay atop my MVP rankings? Let’s find out. Keeping with the Olympics theme as a protest to baseball and softball still not being included. All statistics are through play of August 1st. Update: Our sources tell us Lance Lynn, though not reaching the minimum innings total in 2011, was on the active roster for more than 45 days and is therefore NOT eligible as a rookie in 2012, awkward because MLB had him on the “Top Rookies Tracker” for a while. 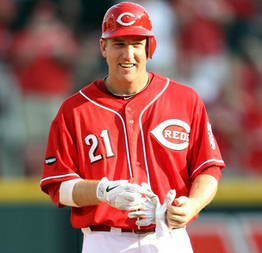 Lucky for Reds fans, that means Todd Frazier gets the nod as the bronze medalist for NL Rookie of the Year. A first time appearance on the medal stand is largely due to his .275 average, 13 homers and 40 RBI this season. Frazier has basically rendered Scott Rolen useless for the Reds, especially in July when Frazier hit over .300 with 5 home runs and 15 RBI. Besides, how can we not include a guy who hits home runs by throwing his bat at the ball? I was THIS close to dropping Harper to the bronze for this month. Harper quite frankly looked like a 19 year-old this past month hitting just .222 in July with one home run and seven RBI in 99 at-bats. I’m giving Harper some credit for the intangibles that he brings to Washington and helping keep them in first in the N.L. East. Most pundits will have Harper winning Rookie of the Year, but at this moment I don’t think it’s the case. Harper is closer to dropping down than overtaking my leader. Take a close look at the numbers and you could even say Reds Todd Frazier has been a better rookie hitter than The Chosen One. It’s a great 19 year-old season, just not the best rookie season in the N.L. right now. Where would the Diamondbacks be without Wade Miley? He’s just been so consistently good. Lance Lynn has had better months, but Miley hasn’t gotten blown up at all like Lynn has. July was just another ho-hum month for Miley going 3-2 with a 3.31 and 1.13 WHIP. Miley is 12-6 on the year and 2nd among NL rookies in wins, ERA, and strikeouts, plus 1st among N.L. rookies in WHIP. Miley is the real deal. Blind resume time! Player A: 11-7 record, 4.38 ERA, 1.41 WHIP, 10.2 K/9 ratio, and 2.07 K/BB ratio. Player B: 9-5 record, 2.93 ERA, 1.17 WHIP, 4.9 K/9, and 3.93 K/BB ratio. You’d rather have player B right now, right? Congrats, you just picked Scott Diamond over Rangers Yu Darvish, welcome to the club. We have a meeting every 5th day when he makes a start. A new addition to the rankings. I had been hesitant to add him due to his injury early in the season and players being ahead of him still. Since returning on June 1st, Céspedes is hitting .347, with 9 homers, a .391 OBP, and a .984 OPS. 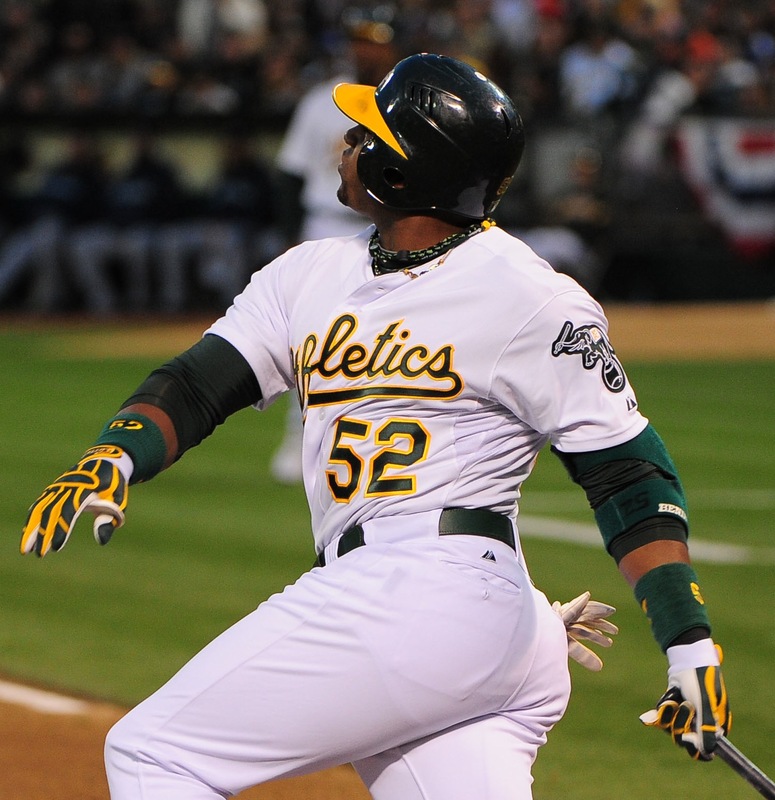 The Athletics are 29-15 over that span and are the biggest surprise in the American League in playoff contention. He’s 2nd among A.L. rookies in home runs, slugging, OPS, batting average, and runs scored. The only problem? Céspedes is 2nd in all those statistics to this next player. All of those numbers that I said Céspedes is 2nd in among A.L. rookies, Mike Trout is first in and it’s not even close. Tack on leading not just A.L. 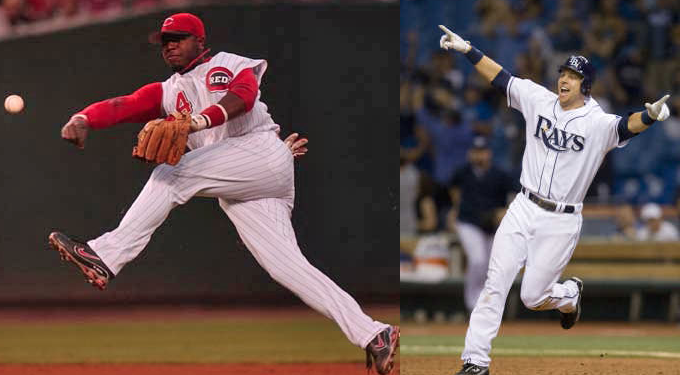 rookies, but the entire American League in stolen bases as well and we can move on to the next award. We’re going to Trout again in this blog I promise you. If you thought the A.L. rookies was deep just now, wait until you see the National League pitching pool. For as amazing as R.A. Dickey was in June, he was that bad in July with a 5.13 ERA. That’s the life of a knuckleballer. Dickey goes from 1st to “just off the podium” and we welcome Jordan Zimmermann to the top three. When you think Nationals pitching you think Stephen Strasburg and Gio Gonzalez, but it’s Zimmermann that’s been the best of the three so far. His 8-6 record doesn’t reflect it, but he’s 2nd in the N.L. in ERA (I’m excluding Ryan Dempster), 5th in WHIP, 2nd in WAR and has shown great control in 4th in BB/9 and 9th in K/BB ratio. You’re more than welcome to make the case for Strasburg and it’s a great one, but Zimmermann deserves this spot. Cueto takes another step up the podium in his pursuit of becoming the first Reds pitcher to win the Cy Young Award. Cueto leads the National League in pitcher WAR and is tied for the league lead in wins. He’s great at all times, but he’s a spectacular 9-0 in day games for the Reds. What’s the most impressive statistic on Cueto this season though? 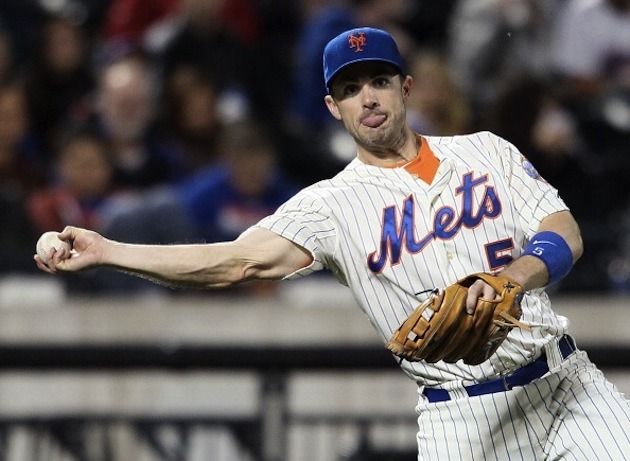 He is tops in the National League in home runs allowed per 9 innings at just 0.32. That’s incredible considering he pitches his home games in one of the easiest parks to hit a bomb. Cueto moved up a spot, so I might as well move Matt Cain up another rung. Cain didn’t have the greatest July, but it was good enough to keep his overall numbers looking spectacular. He leads the league in WHIP at 1.00, 4th in ERA, 2nd in innings pitched, 1st in shutouts, and 7th in strikeouts. Cain becomes the 4th different pitcher in four months to be at the summit of my N.L. Cy Young rankings. With how wide open this race is, we could see a 5th at the start of September. Remember on MTV’s “Total Request Live” when the band Korn was always 3rd behind the Backstreet Boys and N*SYNC? Alright you probably don’t, but like how #3 was the Korn spot, in these rankings #3 is the Sale spot. He’s there for the 3rd straight month. The young White Sox ace is 2nd in the American League in ERA and pitching WAR, 3rd in wins, WHIP and HR/9 ratio. It’s just not enough to get above the next two pitchers, one who has better numbers in a similar amount of innings and a pitcher with slightly worse numbers, but has tossed an extra 36 innings. Am I copping out this month? You bet I am. Last month, I said that the difference between the two pitchers was razor thin, but I gave the edge to Verlander because of the extra innings he’s thrown. Weaver answered by going 6-0 with a 2.23 ERA and 1.01 WHIP in July. Verlander was “only” 3-2 with a 2.43 ERA and a 0.97 WHIP last month. Overall numbers are pretty close too. Weaver leads in wins, ERA, and WHIP. Verlander leads in WAR, innings pitched, and complete games. Verlander also is 2nd in strikeouts by just one to Felix Hernandez and has great peripherals. Give me another month and we’ll discuss again. 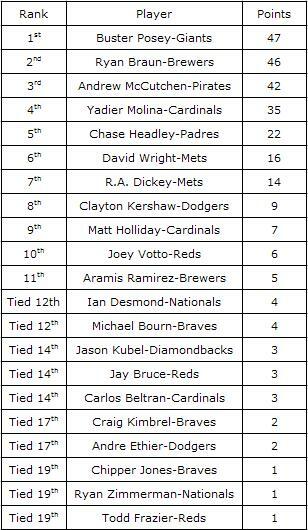 No player made a bigger jump in the rankings for any award this month than Holliday. He went from not even “just off the podium” to bronze medal position. 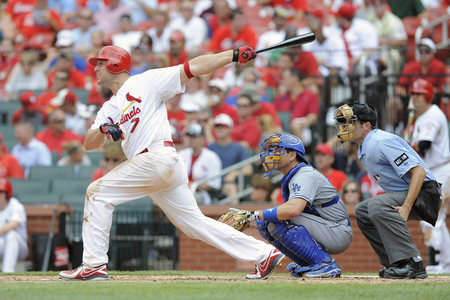 Holliday hit .363 with 7 home runs, 22 RBI and an eye-popping 1.130 OPS in July. The best hitter in the Cardinals lineup is now 1st in RBI, 3rd in offensive WAR and runs, 4th in OBP and 6th in batting average, slugging, and OPS and 5th in HR. He’s kept St. Louis alive in the wild card race. Blind resume part two time! Player A hit .332 with a .397 OBP, .597 slugging, .994 OPS, 33 home runs, 109 runs, 111 RBI and 33 stolen bases. Player B hit .313, with a .398 OBP, .604 slugging, 1.002 OPS, 45 home runs, 112 runs, 114 RBI, and 30 stolen bases. You’d lean towards player B again I think. Player A is Ryan Braun in his MVP season of 2011. 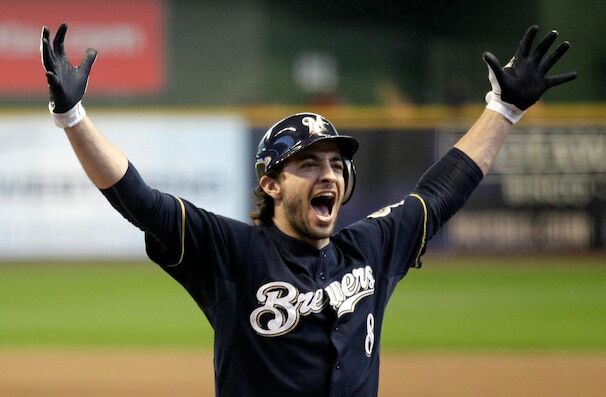 Player B is Ryan Braun current projection for this season and is leading the league in runs and home runs. I know the Brewers aren’t in playoff contention like last season, but Braun isn’t the reason why. He’s been remarkable with the distractions of the offseason and no Prince Fielder protection in the lineup. Braun’s numbers are better this season, but he’s denied by one player who’s been even better. McCutchen had grabbed the gold medal in my N.L. MVP rankings last month and was even better in July. 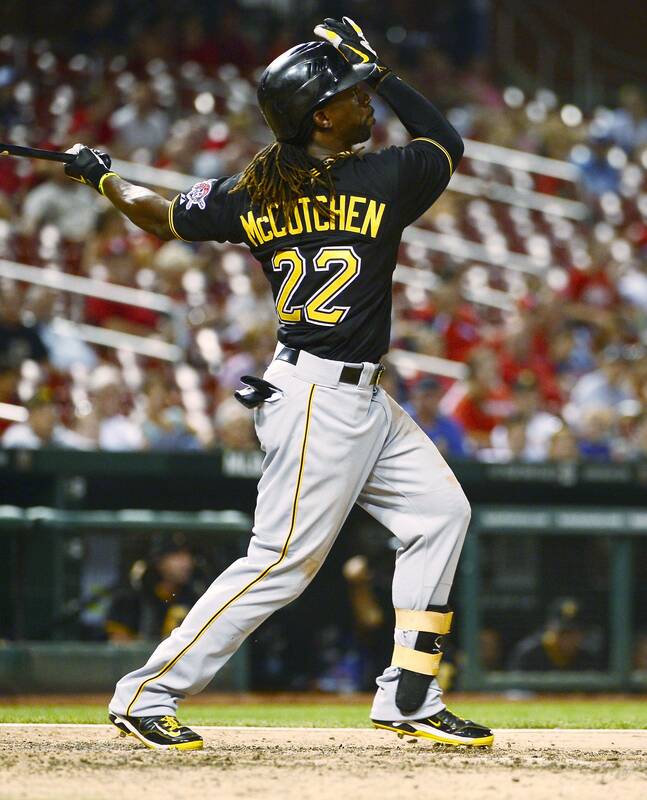 McCutchen his .446 with a crazy 1.249 OPS in taking home N.L. Player of the Month honors. McCutchen leads the league in offensive WAR, batting average (.372), slugging, total bases, and runs scored. He’s 3rd in home runs and chips in another 14 stolen bases. He’s the most complete hitter in the National League at this moment. Plus, having the Pirates in contention for the playoffs makes him the N.L. MVP hands down. Remember when Josh Hamilton was “running away” with the A.L. MVP and was a threat for the triple crown. Hamilton’s terrible June and atrocious July have officially knocked him from my top three. 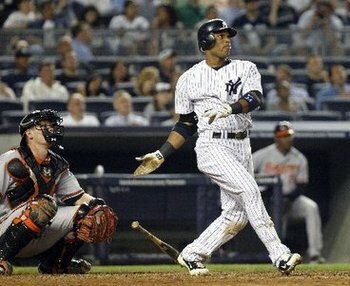 Cano has been the best hitter on the best team. He’s tied for 3rd in offensive WAR, tied for 5th in runs scored, 7th in slugging and OPS, and 9th in batting average and home runs. Add in his usual gold glove defense and Cano’s a contender for his 1st MVP. I think it’s kind of funny that I have the guy Prince Fielder left and the guy Prince Fielder joined both at runner-up for MVP right now. Moving to 3rd base wasn’t a distraction at the plate as Cabrera has been his usual, fantastic self hitting .323, good for 2nd in the A.L. El Miggy Poco is 1st in RBI, extra-base hits, and total bases, 2nd in offensive WAR, 3rd in OPS, 4th in slugging, tied for 5th in runs, and 8th in OBP and home runs. He won’t win a Gold Glove any time soon, but his offensive firepower makes him one of the most valuable players in the league. When I put Mike Trout in the top spot for A.L. MVP last month I thought it was going to have some backlash. Surprisingly, there wasn’t any. Like McCutchen, Trout took over the top spot and was even better in July also winning Player of the Month honors while hitting .392, with 10 homers and 9 stolen bases. Trout has turned the fortunes around after a 6-14 start, sparking them to a 49-33 record and a wild card playoff spot at this writing. Trout leads the A.L. 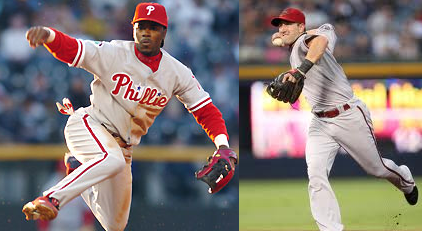 in batting average, stolen bases, runs scored and offensive WAR. He’s also top 3 in OBP, slugging, and OPS. We’re witnessing the greatest season by a 20 year-old in the history of baseball. Can’t believe we’re already through July of the 2012 season. With the 2nd Wild Card added the playoff races are crazy tight as it seems like more teams than not are still alive for a playoff spot. I don’t think any one will or should completely agree with my rankings, so let me know in the comments what you think!